DPReview just published a "First Impressions" review along with full-resolution sample images from the new Olympus 45mm f/1.8 lens. It's nice to see DPReview adopting an informal user perspective report here to complement the technical reviews for which they are known. The theme for this month's Nik Software Photo Contest is "Painting with Light". We're looking for images which showcase light, be it natural or artificial. This is a theme which we hope will inspire lots of creative entries. Good luck and good shooting! 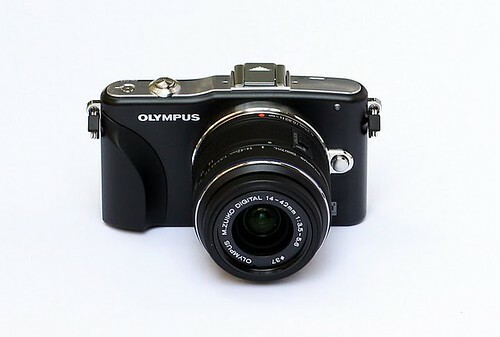 Richard Franiec today informed me that his Olympus E-PL3 grip is fully compatible with the E-PM1. August 2011 Visual Magnetics Winners Announced! Congratulations to the winners of the August 2011 Visual Magnetics Contest! As you know items were delayed in printing. I'm happy to report that the images have been printed to canvas and have completed the spray finish process. August 2011 Photo Contest - Winner Announced! The winner of the fourth Nik Software Photo Contest for the month of August is dtchan! Congratulations dtchan! For your prize you get to choose from one of the fantastic Nik Software plugins. Find out more about Nik Software products by clicking on the link provided. 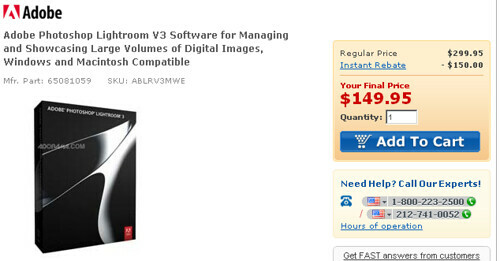 Adorama is having a sale on Adobe Lightroom for $150, today only (ends at midnight). That's about $70 better than the Amazon price. B&H just emailed to let me know they received their first shipment of the E-PM1 in limited quantities. Any color you want, as long as it's black :wink:. Time to Vote! August 2011 Contest Sponsored by Visual Magnetics. Time to vote for the winners in the August 2011 contest sponsored by Visual Magnetics. August 2011 Contest Sponsored by Visual Magnetics! Please vote for your three (3) favorite entries. The top two (2) vote getters in this contest will win the prizes specified in the original contest posting. The poll will be closed in 6 days..
Panasonic Firmware Update for Power Zoom Lenses - Which Cameras Supported and Why? Please vote for your favorite photos from our August 2011 Photo Contest - Sponsored by Nik Software. Select up to three choices in the poll above prior to submitting your vote. The poll will automatically close after 6 days. Some of you may already be familiar with Richard Franiec's custom grips for cameras such as the Olympus XZ-1, Canon S95, and Sigma DP1. Richard's highly-regarded grips are individually machined from aircraft-grade aluminum and finished in black. Olympus' Viewer 2 software provides a chance to simulate the in-camera JPEG processing using different noise filter settings and compare them to the results using Adobe Lightroom. For this comparison, I used Viewer 2 version 1.21 and Lightroom 3.5 RC.